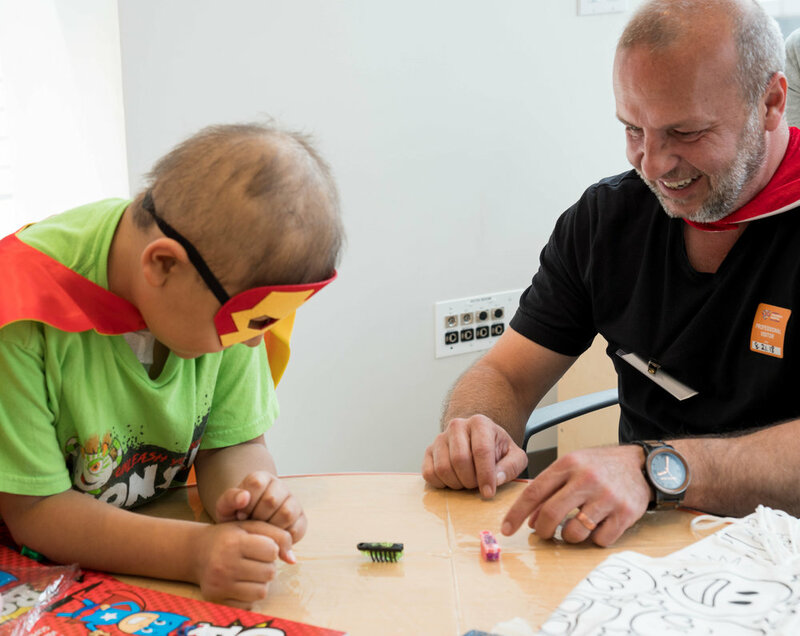 Our latest visit to Hassenfeld Children's Hospital was a huge treat for everyone involved! Miss USA 2018, Sarah Rose Summers accompanied our volunteers to our Queen for a Day and Hero for a Day visit! Sarah Rose has completed her clinical rounds to become a Certified Child Life Specialist - this means she's on her way to working in a hospital to manage each child's experience during their hospital stay. She was the perfect addition to our visit! 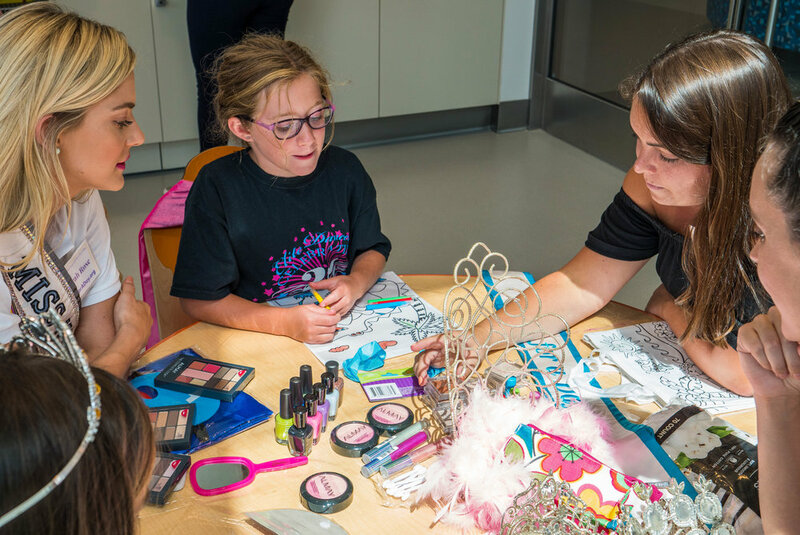 Our volunteers were split into two groups, to set up in two playrooms, and we even made a few bedside visits - we were everywhere and the staff worked hard to make sure each child that wanted their time with Miss USA got it. Our tiaras come in all shapes and sizes, and I always pack a couple large ones, in case we get a patient who likes to be a little "extra." Sure enough, one of the tinier patients wanted the crown that was bigger than her head! She was laughing with pure joy as she walked around with it on (with help from her mom!). These moments remind me of my very first Queen for a Day moment, and the inspiration that started it all. One of our volunteers, Megan, especially connected with a 10-year-old. "She didn’t speak English, but I was surprised how much we could communicate through non-verbal gestures. She loved getting her nails painted (she picked the color) and she also picked out makeup and a feather boa. She even took a selfie of us together and gave me a painting before I left as a way to say thank you, which shows you can communicate a lot even without words." For Hero for a Day, we brought superhero capes and masks, along with a little toy called HexBug Nano. It's like an electric roach. It dances around and changes direction. We had fun racing the bugs and trying to catch them. I have to admit that I did not expect them to be the hit that they were! We then just hung out with the kids and colored canvas bags. My favorite part of our visits is watching the kids come out of their shell. At first, they'll say they don't want to join us at the table, they just want to watch. A few minutes later, they'll walk over to the table and watch a little closer. Then they'll sit down at the table. By the end of the visit, they're interacting with us and the other kids, and hanging out until we have to start cleaning up. All in all, we saw 7 girls and 4 boys, plus bedside visits for 5 girls and 2 boys.